reads an ad on Indeed.ca. The starting wage for this job? $0.00 per hour. Does the compensation seem commensurate with the skills and experience required? Would you go to work every day and not get paid? This is exactly the situation many young people face as they are forced to pay their dues in the Internship Market. One of the chief concerns with unpaid internships, besides their occasionally exploitative nature, is that they foster inequality. Working for free generally means that there is someone with the means to support you during this time and so it is often children from wealthier families who are able to reap the benefits that some unpaid internships can provide. Companies will counter criticism of unpaid internship practices saying that they don’t want to hire someone incompetent or that they can’t afford to hire more staff. We would counter that this is what probationary periods and training is for, and that if your company cannot run without free labour, you probably need to reconsider your business model. 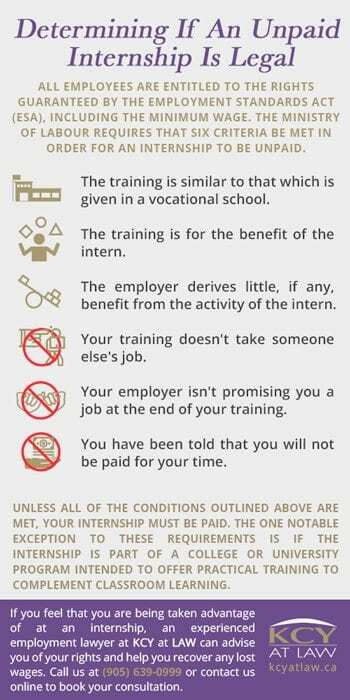 The only legal argument unpaid internship-providing businesses and organizations can submit is that they offer useful training to those without job experience to pad their resume and prepare them for the work environment. Unfortunately, many internships provide little in the way of mentorship and practical workplace skills. The spread of unpaid internships amounting to little more than a lesson in photocopying and coffee preparation has led the Canadian government to crack down on them in recent years. 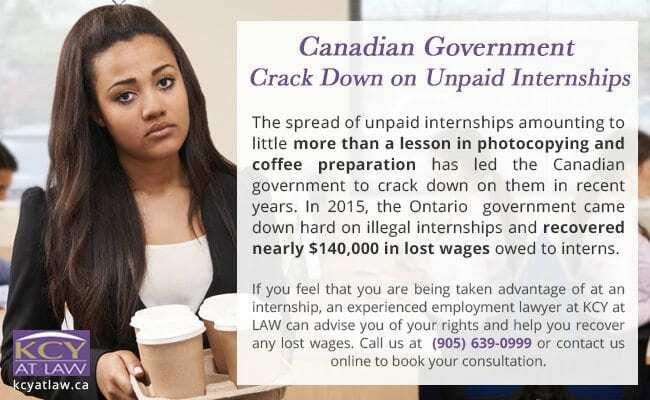 In 2015, the Ontario government came down hard on illegal internships and recovered nearly $140,000 in lost wages owed to interns. Employment standards officers investigated 77 workplaces with interns and found that nearly a quarter failed to meet Employment Standards Act (ESA) requirements. So, what determines if an unpaid internship is legal? The one notable exception to these requirements is if the internship is part of a college or university program intended to offer practical training to complement classroom learning. Being new to the labour force does not mean that you should have to work for free. We believe that your time is valuable. 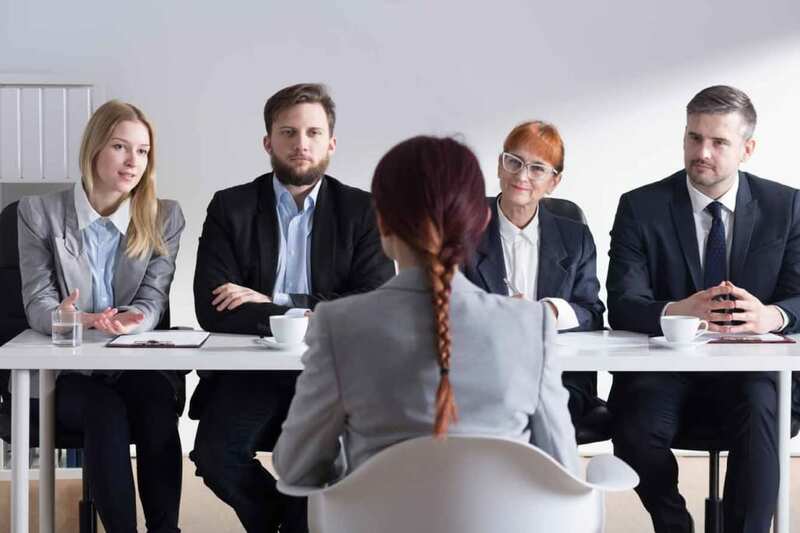 If you feel that you are being taken advantage of at an internship, an experienced employment lawyer at KCY at LAW can advise you of your rights and help you recover any lost wages. 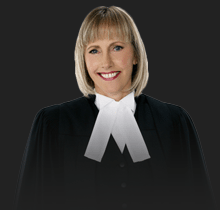 Call us at (905) 639-0999 or contact us online to book your consultation.